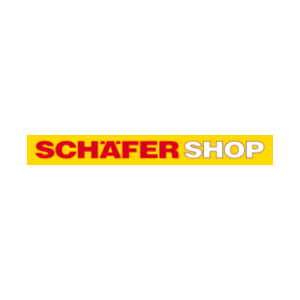 For over 40 years B2B retailer SSI Schäfer Shop GmbH has been selling premium furniture and the full range of equipment for offices, warehouses and distribution as well as office supplies and technology. It manufactures a considerable part of its products itself. The service-oriented B2B furniture retailer reaches its customers via its online shop, catalogs, by telephone and its sales force. The company uses print mailings and newsletters, for example, to attract new customers and to encourage existing customers to buy. In the past, the products were selected manually, with the respective customer group receiving exactly the same self-mailer catalog or newsletter. SSI Schäfer Shop used a scoring process to segment the appropriate customer group according to the respective catalog or newsletter campaign. In order to obtain better results from an individual customer approach, the company decided to use the prudsys Realtime Decisioning Engine (prudsys RDE for short). 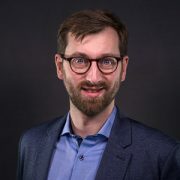 The real-time solution is based on artificial intelligence and automatically generates product recommendations that exactly match the customer’s interests across all customer channels. SSI Schäfer Shop GmbH wants to be able to offer its customers relevant products that optimally reflect their interests using artificial intelligence. The company also aims to increase orders and sales compared to manual product selection. And to keep the internal effort to a minimum, they would like to set up an automated process that can generate individualized content in newsletters and print mailings. Smartcom and prudsys made the objectives of SSI Schäfer Shop a reality. Smartcom GmbH & Co. KG took on the project management and process implementation. prudsys AG used the prudsys RDE to select highly relevant content for print catalogs and newsletters. Intelligent algorithms that analyze customer behavior in real time and react immediately to changes guarantee maximum recommendation quality. Having analyzed the available product and customer data at the start of the project, interfaces were created to SSI Schäfer Shop’s existing IT systems. Relevant product images and text are automatically circulated up-to-the-minute via these interfaces. The images and text are automatically optimized throughout the process and incorporated into the newsletter or print product. The print product is a 16-page self-mailer catalog, printed in more than 100,000 versions featuring almost 5,000 different products. Compared to manually selected product recommendations, SSI Schäfer Shop has increased its sales by up to 8% since using the prudsys RDE. The office and furniture supplier has also increased orders in the top customer segment by 15.2 %. The number of buyers rose by 2.4 %. And thanks to automated product selection by the prudsys RDE, less manual effort was required by staff. SSI Schäfer Shop also benefits from the fact that the prudsys RDE takes the whole product range into account when calculating its recommendations. It independently tests customer acceptance for long tail products and new items in order to increase purchase probability. 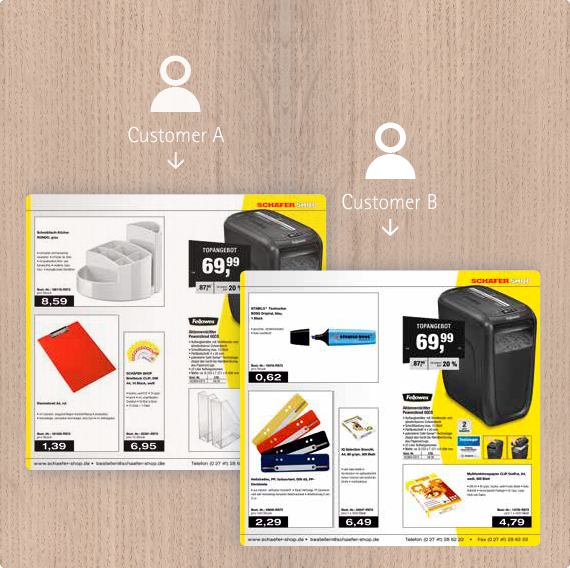 Thanks to the positive results, SSI Schäfer Shop will also be using the prudsys RDE in future for individual content in newsletters, catalogs and package inserts.